We do get returns from time to time. Most returned items test perfect. Here are some hints to save us both some postage and exercise. First, you are responsible for testing any items you purchase before you use it in, on or with your equipment. Before you fly your plane, run your robot, race your car, fight your battlebot, fly your drone, etc., be certain that all equipment has been tested and found to be in good operating condition. All electronic current limits, polarity, and utmost safety must be observed. 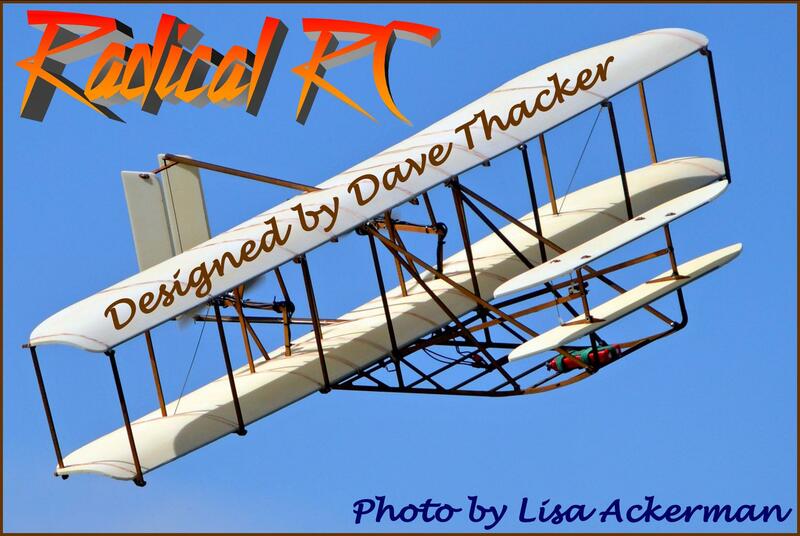 Radical RC will not be held liable or responsible for any improper installation, misuse, craft losses, injury or damage. You agree to hold Radical RC harmless as you are responsible for your own equipment and actions. 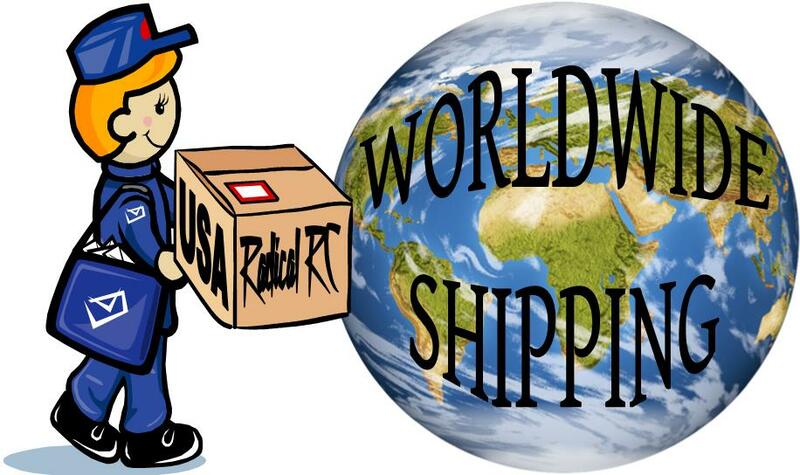 Second, you are also responsible for all shipping costs to and from Radical RC, unless we've shipped something found to be defective or in error, in that case we'll return your return ship fee ($3.00 minimum that you have enclosed with your return). Be sure to include a note listing full details of the problem, your name, address, and the return shipping fee of $3.00 minimum or permission to charge your credit card (nothing enclosed, gives us permission to charge your credit card or hold your return) . Please have mercy on us, don't expect us to remember our conversation about your item or issue. While you may have only talked to one hobby supplier in the last 2 weeks and can remember everything, we talk to over 100 customers and suppliers per week. So, please give us a refresher note. Because parts without notes don't talk, we'll have to hold them until the owner sends a note or calls to talk for them. All returns will be handled in good faith on a case by case basis. Darn it! Like you, we are human. We have no intention of making mistakes on your order, but sometimes we err. We are more than happy to correct our mistakes, and truly appreciate the opportunity to make your order right. We understand that you really wanted your goodies yesterday or last week, so we know it's frustrating to have to deal with an order error. We'll do our absolute best to fix it as fast as possible. Thank you for letting us fix it, and please let us serve you again, we will always try to do better! Ugh! Lost or damaged packages are a rarity. Damaged? As per our checkout page, you chose your shipping method, and you have the choice to have your order shipped insured or uninsured. We will pack your order well. Sometimes humans at shipping companies mishandle packages (we know you've seen the awful videos). If you chose to ship your order uninsured, and your package arrives damaged, you're out of luck, you took your chances and lost, don't ask Radical RC to foot the bill. That said, if you select a shipping method that includes insurance, and your package arrives damaged, DO NOT OPEN IT!!!!! TAKE PHOTOS (email them to us); Mark it "REFUSED"; DROP IT BACK IN THE MAIL. It will then return to us at no charge to you or Radical RC, and then we can file a claim with the carrier. If you open the package, it is at your own risk and we may not be able to file a claim, which means you may not get a replacement or reimbursement, and that would hurt both of us. Lost? Insured, no problem, we can file a claim. Uninsured, that's a problem, we cannot file a claim. However, we will investigate to make sure as to where your package was shipped, and if we messed up, we'll send another order. If you messed up your address, you are welcome to place a corrective order. If the lost package shows up, DO NOT OPEN IT!!!!! Mark it "REFUSED"; DROP IT BACK IN THE MAIL. It will then return to us at no charge to you or Radical RC, and then we can issue a credit for the return providing it is not damaged. We repeat: We have no intention of making mistakes, shipping your order unsafely packed, or losing your order, but sometimes humans err. We are more than happy to correct our mistakes, and truly appreciate the opportunity to make your order right. We understand that you really wanted your goodies yesterday or last week, so we know it's frustrating to have to deal with an order error. We'll do our absolute best to fix it as fast as possible. Thank you for letting us fix it, and please let us serve you again, we will always try to do better! Almost every battery pack that is returned to us tests perfect when properly charged and properly discharged. Please review your handling procedures and notes, then call or email us for pre-approval for the return. This charger goes into trickle of 100mah as soon as the pack peaks out. If the pack is smaller than 1000mah, the 100mah charge rate goes on to destroy the pack. If you've got a 959 and a bad pack under 1000mah then you've learned an expensive lesson. The 959 in my opinion, is not capable of safely charging any battery pack under 1000mah. This also goes back to my advice to avoid chargers aimed at the RC Electric Car market. Many of them are abusive to smaller packs in some way. The pack you ruined is not returnable. We do not accept returns of lithium battery packs or cells because they are so easily damaged. Any lithium batteries returned to us must be discarded as they have no commercial value. You do not want us to ship you a used lithium pack. This is why we do not accept returns on lithium batteries. We have NO used cells in stock. Once they have been shipped they are considered used and non-returnable regardless of claims "I never charged them" or etc... Please understand, we will take no risks on this issue. Any seller who accepts returns of Lipo packs very likely accepts the unethical idea of reshipping "reconditioned" lipo packs. MRC 969 Pro Series Super Brain Charger: This charger uses in effect a "Timer" or "mAh counter" to fill a lipo pack. The odds that you'll make a mistake with this unit and burn down your home and workshop are almost 100%. Using any method other than constant voltage and constant current for Lipo cells/packs is utterly insane. Don't even think of ordering a Lipo pack from Radical RC if this is the charger you intend to use on it. If you're using an Accucycle, please be aware many of these have been shipped out of adjustment and I don't want the pack back until you've tested the calibration on all functions AND cycled it on a friend's cycler. 99% of Accucycle owner packs are returned back in perfect condition just like they were sent to me. Please understand I've spent enough on postage returning these packs and hours and hours writing letters of explanation. I could have bought a new top of the line radio for myself with all the postage and finished 4 or 5 model projects with the time I've spent. I no longer want to provide free custom 50'er support for Hobbico/Tower Hobbies on these units. If yours is poorly cycling a new battery call Tower/Hobbico and make them jump through hoops to help you figure out why. They made it and sold it, they should have to support it and fix it. I've jumped through those hoops enough to wear out a couple pairs of tennis shoes already. If you have an Accucycle and you think you have a bad battery understand that what I'm telling you is you've been throwing away good packs for along time probably. Test your rig; send it in for calibration or replace it with an accurate setup and you'll be way ahead financially before long. THE ACCUCYLE IS NOT BAD! Many of them have been shipped to customers out of calibration. CALIBRATION IS THE ISSUE. And I've been told that Hobbico/ Hobby Services have provided excellent service fixing the out of adjustment units. It is also possible that any cycler can drift over time. Just because a device was once in calibrated only means it was "once" in calibration. Test it to see if it is now, before you send a project my way. 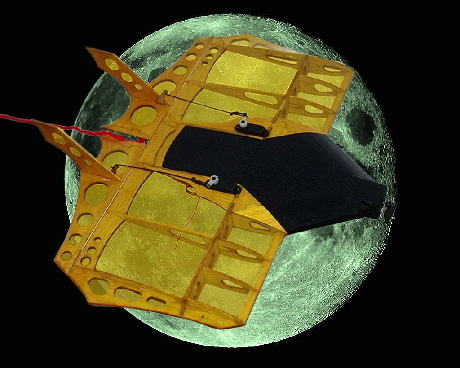 We use a finely calibrated Orbit Microlader to test returned packs. If you're interested in a fine quality tool like this, be sure to contact us. 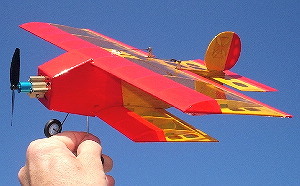 Please note, I love to give good service and I love to build model airplanes. The more you check out your gear (as explained below) the less time I spend cycling perfect packs and the more time I spend building. Charge Check: Check the mAh while it is charging a pack with your volt/ohm meter in line with one of the wires. Is it really charging at whatever it says it is? Remember, (Capacity of Pack X 1.4) / measured mAh of charger output = charge time in hours. It won't cycle up to snuff if you only fill it 50%. Check the discharge with the same set up. Don't be fooled into believing the switch setting or printing on the charger. Is it 50 mAh or is it really 40 mAh? If it is really 40 and you do a charge time based on 50 mAh your pack will later test at only 80% of what it should. Also, be sure you are charging long enough on non-terminated chargers. If you are charging at 50 mAh and you charge an 1100 mAh pack for 14 hours, it will only test at about 500-600 mAh on your cycler. It takes 30.8 hours to fill an 1100 mAh gas tank with a 50 mAh spout. Remember there is a 40% loss when charging. You have to put in 140% to fill up a pack. Example, 100mah charge rate for 14 hours to fill a 1000mah pack. See the calculation above and practice it on your pack and charger. "I charged my new pack on my high quality fast charger and it cycled way below factory rating." Every NiCad/NiMH pack needs a break in charge on a simple non-terminated charger like a wall charger for example. NONE of these high-end (or low-end) fast chargers can handle a virgin pack properly every time. The voltage curve is not normal on the first charge. These chargers use the voltage curve (how the voltage climbs under charge and/or declines when full) to figure out when the pack is full. Once you've fully charged the pack one time on a slow charger the voltage curve becomes stable and your whiz-bang charger will work fine. "Yeah, but my charger is a really good one and the instructions say it can do it!" Yes, I've seen some that claim they can. But, why give yourself a headache trying to force it to work properly when a simple 10% rate overnight charge will get you off to a good start? Remember, Capacity of the pack / 10 is the safe MAXIMUM overnight non-terminated charge rate. It is fine to charge at lower rates, you'll just have to use more time. Use the formula above in "Charge Check" to figure your time to charge. Also keep in mind Radical RC is under no obligation to make sure that other manufacturer's charger can do what the instructions say. I learned my lesson long ago and quit trying to fast charger virgin packs. "Yeah, but it worked once before!" Just because something worked once before does not mean it is a good practice or a reliable practice or a practice that I am willing it guarantee. If your non-NiMH rated fast charger seemed to previously charge them fine, and does not now, or, it used to peak detect new battery packs without break-in charge, and it won't now, then you need to contact your charger manufacturer and take it up with them. I am unable and unwilling to guarantee your charger to do something just because your charger did it previously or because the instructions say it can. "I have a really cool charger that charges for 14 hours then cuts back to trickle. The charge rate is 150 mAh. My 2700 mAh pack is not checking as good. What's the problem?" Ok, if you've read all of the above you already know the answer to this one. Capacity (2700) x 1.4 = 3780. 3780 / charger output (150 mAh) = charge time in hours of 25.2. You're only charging the pack 55.55% as long as you need to in order to fill it up. I bet it is cycling around 1500 mAh. The largest pack you can reliably charge from dead at 150 mAh in 14 hours is 1500 mAh. In 14 hours you can fill a pack that is 10x the charger output. So, if the charger output were 270 mAh, you could fill it in 14 hours. If it were 400 mAh, in 14 hours you could fill a 4000 mAh pack. Never charge any battery with a charger that fills the pack faster than 14 hours unless it has a peak detection method rated for your kind of cells. ONLY BUY CHARGERS WITH NiMH RATINGS. Everything else is a Dinosaur! "Yeah, but I charged it fully, like you said, even gave it some extra hours and it still cycles a little low." Put your volt/ohm/amp meter (set to measure amps) in line with one of the charge wires and set it to mAh. When you have it properly in line, the current must pass through the meter (like natural gas passes through a meter) to get from the battery to the discharger. It makes no difference (red or black) which wire you break with the meter. Be sure the mAh setting your using is higher than the expected discharge measurement. Your discharge current should be within 2 or 3 percent of what your cycler says it is. If the discharge current is supposed to be 250 mAh, and the real measurement is 296 mAh, then your cycler will trick you into throwing away good battery packs. Every hour it runs will give you a false reading by -36 mAh. An 1100 mAh pack might test to only 929 mAh. DO NOT return a pack without checking the discharge rate on your cycler. "But my wiz-bang tester cycles my other pack(s) fine!" Do not presume because your cycler tests your factory Futaba/Hitec/JR/Airtronics/Brand X pack within reason of its label, that this means your cycler is adjusted properly. I've seen many packs that say they are one thing, but inside is a higher value 50 cell. Maybe the manufacturer is trying to trick buyers into not sending marginal packs back for warranty by labeling a 600 mAh cell at 500 mAh. Maybe they normally label correctly but one week ran low on 600 mAh cells and built all the packs with 700's or 1000's. Not everything you see in print is true. Just remember you can't test a battery charger/discharger for accuracy with a battery. It's like checking a ruler for accuracy with the board you need to measure. "What is the correct test discharge rate to cycle my pack?" Very good question! Did you know that I've never seen any cycler/discharger maker include this info in their instructions? What an oversight to leave out such critical information. Factory cell ratings for NiCad and NiMH cells are at a 5 hour discharge rate. If the purpose of testing a pack (or cell) is to see if it meets the factory rating you must cycle at capacity/5. In the case of an 1100 mAh pack you'd cycle at 220 mAh discharge rate. If you cycle faster than this, you get lower ratings, slower than this, and you get higher ratings. Rather, obviously there is really no hobby cyclers intended to be this accurate as most of them don't discharge below 250 mAh. As the pack size gets smaller the discrepancy grows, as the pack size gets larger, the cycler becomes more and more useful and accurate. It is not uncommon for somebody to cycle a smaller pack like maybe a 350mah pack at 300 or 500 mAh. Then write me and say "The pack is bad, it only cycles 290 mAh." The pack should have been cycled at 70 mAh if we wanted to test it against the factory rating. It is a good sign all is well if you can cycle it around capacity x 1 and it still comes out 80% or better (for a new pack). If you've cycled a 350 pack at 300 or 500 mAh and it measures near or over 350mah, than it is an indication your cycler is NOT accurate or the pack is mislabeled. While your cycler is discharging, wiggle all the connections on your charge harness around. Does it kick off and back into charge? An intermittent or poor connection can give you some mighty odd readings. How are the ports, into which your charge harness plugs? Are your wires small or long? On your cycler, try to be sure your leads are 22 gauge, and the shorter the better. There is a voltage drop across a long wire which will cause your cycler to stop the discharge early giving you a false low reading on a pack. Measure the voltage of your pack through another harness, does it match the suspect harness or is it much lower? "My battery must be wired backwards, the red tests negative and the black tests positive"
Take a volt meter and check to see that in your charge lead the red is plus/+ and black is negative/ -. Test this at the end of your charge lead, not at the charger port or banana ends, but at the end of your charge harness. The end of your charge harness is where your pack is being charged, so that is where we want to do the test. Yes, I have gotten back several packs that would not cycle to the user's expectations because they were trying to charge and cycle them backwards. Some of these same users insist the same charge harness and same charger and same cycler were used on other batteries with good success. When I cut the jacket off and the wires are connected correctly and see that the plugs is wired correctly and yet reading backwards it becomes obvious the customer charged it backwards. Anything can be hooked up backwards if you try hard enough. Look your setup over closely. Most of us use banana ends on our charge cords that could be switched backwards quite easily. "So, your pack came to you dead?" Yes sir, every pack is guaranteed to ship to you between empty and 3% charged. It is silly how many packs get returned because the voltage was zero when the customer opened the package and in some wizards manual somewhere this is supposed to mean the pack is bad. Well, don't believe everything you ever heard or read. It is true that every shorted cell or pack will read zero. However, that does not mean every cell or pack that reads zero is shorted. They come out of the factory with only a low % charge in them. With the daily self discharge rate, it is clear that many of them will test zero (or nearly so), by the time they reach you. Receivers GWS R4P or GWS R6N doesn't work? Make sure if it is a GWS 4 or 6 channel that your RX matches your TX. A white sticker on the RX with an "F" in it works with Futaba and Hitec transmitters, a "J" means it will work with Airtronics or JR TX's. Make sure the black or brown wire in your battery, servo and ESC connector is plugged into the pin that is connected to the circuit board closest to the edge. Notice that they are all soldered together. The signal pins are not joined together, and they are always closest to the middle of the circuit board. The pins at the end edge of the circuit board are always the negative pins on any RX (excepting vintage old style Airtronics RX's). Don't let the instructions and printing on these RX's fog your mind. If you've plugged it in backwards, then there is a smoked voltage regulator on the board and it is not returnable. I can't put the smoke back in for you. You can buy a new RX and be sure to leave the genie in the bottle next time. They just don't work once the smoke gets out. FMA has made the specific statement to us that the RX's are tuned, tested and then put in the package. Both GWS and FMA RX's are not packed with burnt up voltage regulators (FMA RX's are warranted by FMA, don't send them to me). GWS RX's with burnt looking voltage regulators or smell like burnt electronics will be returned to you. It is perfectly normal for a GWS RX that is not receiving a signal from a TX to wiggle and jiggle the servos. Your GWS RD8 doesn't work? If you bought a GWS RD-8 and it's not working, flip the shift switch located on the back. This sets the TX type. If it's set for JR it won't work right with your Futaba TX etc.... Also, make sure the frequency on the xtal matches the xtal in your TX. Maybe it doesn't work because it's not on your channel. If your using PCM TX it must be set to PPM to work with a non-PCM FM RX. The pin soldered to the end of the circuit board is always NEGATIVE with the only exception being old style Airtronics and Sanwa factory RX's. If you've got the signal wire plugged into the positive pin (soldered to end of RX circuit board) it won't work. Guaranteed. The negative pin is the pin closest the edge of the RX case. This is true of all RX's. Every single one of these returned tests perfect and goes right back to the customer. Save us both some exercise by making sure you are sure, before returning it. In the rare instance of a problem with one of these items, return it to the respective company for repair and warranty service. We are not an authorized warranty repair service for any of these companies, with the exception of servicing the Orbit Microlader Chargers. Warranty service from these companies is part of what you're paying in the price of their product. Save yourself postage and needless delays by returning these items directly to the company that warrantees them and has the knowledge to repair them. Sending it to me so I can send it to them so they can send it to me so I can return it to you is not nearly as quick as sending it straight to them yourself. "Yes, but don't you stand behind your products?" Yes! It is true that I stand behind MY products. My Radical RC products are wiring, battery packs, kits we produce etc., etc., etc. I am happy to let other companies provide service and warranty work on THEIR products. They clearly understand who knows best how to repair their products and that is not Radical RC in many cases. If you need assistance like a copy of a receipt, address or other such things, be sure to contact us as we are happy to help with those needs. Please understand that we view every return as an opportunity. An opportunity to earn your business for life, by giving you the good service you'd expect. This is what we aim to do every time. We're trying to improve that service by helping you to figure out if maybe you really do have a good item. This way you won't have to be without your goodie for a week or two. We know you ordered it because you really wanted it and being sure it is good or bad is what benefits us both most. If you return your 3 month old X-brand charger to me and I replace it then send the X-brand charger off to the "X" company for repair then they return it to me, and I now have a used X-Brand charger. You traded your used charger to me for a new charger, and I've got a used charger in stock. I've traded a new charger for a used charger. Anybody want to buy a USED charger? I've paid to ship it 3 times (once to you originally, once to X company for repair, once to ship it to the next buyer) and had to sell it at a reduced price because it is a used charger. You've shipped it once and the "X" company has shipped once. 5 shipping charges involved when there could have been two, if you had shipped it to them in the beginning. Incidentally, a used charger sells for 25% to 50% less than a new charger. Most chargers cost around $6.00 to ship. I originally collected $3 from you, I collect $3 shipping from the used charger to the next buyer, I've shipped it 3 times spending $18.00 and collected only $6. I probably made about $10 to $15 when I sold it to you to start with. Deduct from that the $13.00 I've lost in shipping and we're down to no more than $2.00 profit. I have to discount this $110 charger a minimum of $30, to sell it used the second time. So, I've packed and addressed this charger 3 times, sold it twice and been charged $43.00 for my kindness. How much more have I paid in wages to get all this communicating, packaging and shipping done? It is the same effort for you to ship it to the "X" company as it is for you to ship it to me. So please, ship your faulty item to the company that warranties it. Servos are not shipped with stripped or missing gears. If they have stripped gears it is because they have been "dead headed", crashed, jammed, dropped or abused. Any servo from any manufacturer can be tested to destruction. If you run it on your cycler under load until it overheats and burns out, then you've got a bad servo to add to your collection. Other problems can be taken care of or replaced. Faulty HES or GWS servos may be returned directly to us. Hitec and all other brands must be returned to the factory, as they warranty these knowing that I don't have the expertise to repair them. Please understand that a portion of what you pay for an item is to cover additional postage cost, packing, packaging materials, time to take your order, paper involved, and labor. The price you paid did not include paying us for our efforts if we have to issue a refund for the item. Be sure of your purchase. Buy what you buy to keep. When you ask to return an item for a refund because you wrecked the airplane or got excited about another project or turns out a buddy gave you his old voltmeter so you don't need the one you just bought from us or whatever the case is, there are certain expenses that we incur to "un-sell" the item. Make a good decision and don't ask me to finance your fun. We can't return our time, postage expense, packaging, tape, etc., when you return your item to us. Certainly there are times when you bought one thing and should have gotten another and we are very happy to exchange your item and give you 100% credit. If you want a refund, there is a 15% restocking fee for returned items plus the original actual shipping cost from us to you, regardless of how much shipping you paid, unless we are in error. Not every order goes out the door perfectly, though we do our best to see to it that they all do. In any case we will resolve your purchase to your satisfaction. If you enter a credit card claim against us it costs us a $15 fine and possible increase in our rates over the next 5 years. They don't tell you that when you call the credit card company. Why? Because they want to collect the $15 and the increased rate. When you make a Chargeback claim, you're telling us you don't trust us to be fair and honest with you. We didn't answer your email fast enough? Please call us, we get hundreds of emails daily, sometimes we overlook important emails on accident. We feel very strongly that you should only spend money with people you trust, and if we're not those people we do not want your money, not even a penny. If you demonstrate such a lack of credit worthiness you will be on a cash basis from then on. Sorry, life is too short to deal with such troubles and red tape. I've got models to build! Besides, there are lots of competitors out there from which to buy, and I want them to have all the trouble-making, suspicious, accusatory, obnoxious, angry, unappeasable, quick to judge, and negative customers. ;-) Really there aren't many such customers, 99.9% of all modelers are the very best sort of honest, friendly, helpful, kind and courteous people around. -Battery packs with cell(s) that are vented, shrink that is melted, wires that are melted, showing any heat damage or any dents or other marks or missing wire and plug. -Burnt out receivers, modified receivers. -Servos with stripped gears or have been modified in ANY way. -Anything you've plugged in backwards or reverse charged. 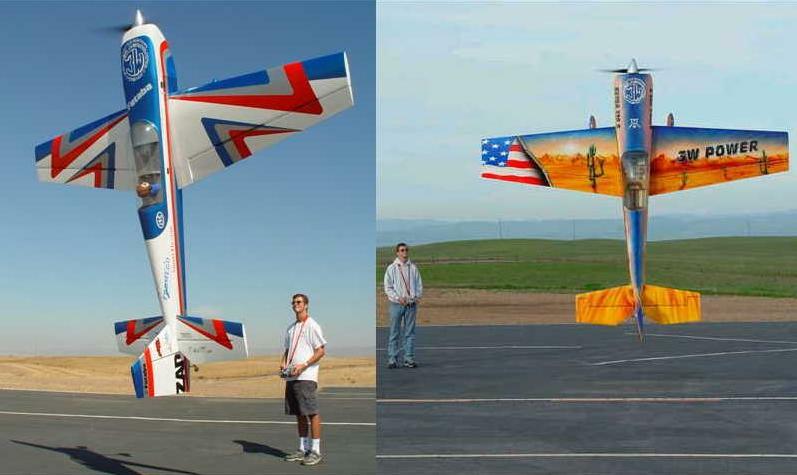 -Commercial or Institutional purchases -Flair, Ben Buckle, FMA Direct/Revolectrix, Dymond, Great Planes, Thunder Tiger: All these should be returned to the manufacturer for warranty repair. Call or email first, but always remember, anything you send must include a note and shipping fee, otherwise your items sits until we hear from you! Shipping and Mail Order address is: Radical RC 5339 Huberville Ave Dayton, Ohio 45431-1250 USA Email and PayPal orders are also gladly accepted.